Other metallic combinations have also been used with success. At Heathrow Airport in London, a lithium-phosphate battery designed by Valence Technology of Austin, Texas, powers the British Airways employee bus. Designed by Optare, the 25-seat Solo EV is the first full-size all-electric bus in use at the airport. The Solo has only been in use since April 2012, but this technology has so far worked well for British Airways, allowing employees to travel many times each day by bus with no carbon emissions. The bus’s current route is from Terminal 5 to the home office, a round trip of some 60 miles per day. One of the barriers to EV bus advancement has also been slow charge time. Because public buses are called into use for so many hours per day, long charging times mean many more vehicles have to be available to run current city routes while other buses are charging. General Motors recently made a large investment in a project with Kleiner Perkins Caufield & Byers, a company which designed a prototype charging system which takes only ten minutes to recharge. If this technology is successful, it could galvanize the swift change to EV buses on the part of many major cities. The EcoRide BE-35 bus by Proterra currently uses this battery type and has had major success in reducing overall costs of operation. In fact, Proterra’s early figures show a difference of $.18 per mile for the EcoRide versus up to $4.50 for traditional diesel buses. With operational savings of this magnitude, Proterra hopes to quickly flood the public bus market with electric vehicles which will save cities enough to justify the switchover costs. Other technological possibilities are also in the works. In Switzerland, the Opbrid Busbaar, a drop-down charging system, has been installed in several locations over roadways. The Opbrid Busbaar system recharges a fully-electric lithium titanate battery in as little as five minutes, and can be pushed out of the way of the road when not in use. This quick charge system can be set up at either end of a bus route, allowing the EV bus to operate for a full day between short charges. With this technology still in a developmental stage, there have been problems. In China, hybrid buses experienced problems this year with on-board air conditioners, which design flaws may have led to drain battery power too fast. 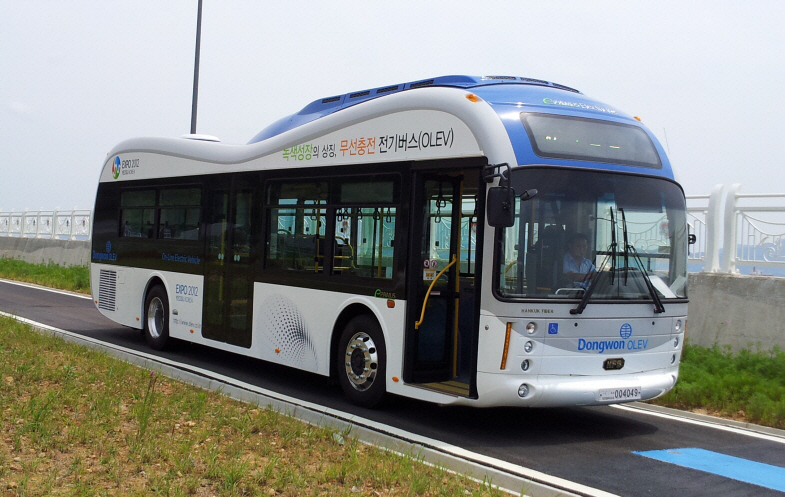 However, as the technology continues to be refined, be prepared to see larger numbers of EV buses in operation all over the world.